“Lovest thou Me?” Then – “Feed My sheep.” There is no choice of service, only absolute loyalty to Our Lord’s commission; loyalty to what you discern when you are in closest contact with God. If you have received a ministry from the Lord Jesus, you will know that the need is never the call: the need is the opportunity. The call is loyalty to the ministry you received when you were in real touch with Him. This does not imply that there is a campaign of service marked out for you, but it does mean that you will have to ignore the demands for service along other lines. God has reminded me of how this all began, in July 2004, when He spoke to my husband about a little girl in China. A little girl who was waiting for us, who, unbeknownst to us had probably just been born about that time. I was looking at our commission, to bring her home as well as our other children, as an event. A one time happening. What I realized in the last few days is that in that moment, God gave us a mission. A path to travel with our lives. Not for a moment or a month or a few years, but for a lifetime. Basically, until further notice 😉 How cool is that? A mission to help, advocate for, speak up for, represent to the best of my abilities all the little ones who wait. Who wait for their turn. Does this mean I am to bring home four more kiddos? I don’t think so. But I do think He has a lot more planned for us to accomplish through Him. I have some suspicions about what He might call us to do in the future, but nothing definite. And how exciting is that? God calls us to a life of adventure, excitement and above all JOY! But the joy is not found in a ‘thing’ or an ‘event’ but in serving Him and finding ourselves being used as an instrument for His kingdom, His glory and His children! I read a devotional once that spoke to me – it said something along the lines of ‘doing what it is God has called you to-UNTIL HE tells you to not do it anymore’! We should never take it upon ourselves to STOP doing the very things that bring God joy and ultimately US the same joy. Sister, I am along for the ride – growing in Christ myself as I watch you in your obedience! girl… You Rock. I am so glad to be along for the ride with you.. looking forward to seeing the big picture unfold!! “God calls us to a life of adventure, excitement and above all JOY! But the joy is not found in a ‘thing’ or an ‘event’ but in serving Him and finding ourselves being used as an instrument for His kingdom, His glory and His children!” Perfectly said. Amen to that. And I too look forward to following the journey of your family! We certainly know that what we think is the end is really just the beginning! You continue to be such a blessing to me! thanks for the reminder- my focus has been on work, but in addition – B says i am anxious – he’s right. I have waited a long time, I want something to happen now with our new adoption option -but the reminder is good – if its meant to be, it will be in His time. You are right too, my head is filled with to do’s and organization, but those things are unimportant if they do not mesh with the right timing. Its not an event, but a process, a nudge in several directions. The process of living life, the process of caring for the kids we have, the process of finding Joy. Waiting quietly, missing old friends, wanting to see the new direction. Finding that the life i’d waited so anxiously for is now. No need to be anxious anymore. All things are possible. what an honest and lovely post. it is so easy to get caught up in our smaller view. What perfect timing that devotional was! God is so faithful!! We ALL get caught up in the “small stuff” and lose sight of the big picture – it’s part of being human. The Lord knows our frame though!! “When I am weak… HE is strong!” God loves us in spite of our short-sightedness – and He DOES care about the “small stuff”! But then he brings these reminders our way – through the words of a friend, or reading a verse or a devotional – reminding us that there is something BIGGER going on than what our finite minds can even understand! I am so thankful that He gives us glimpses of His master plan. It gives such purpose to life and living. Thanks for sharing your heart, Stef! I have never posted here, but after reading your post this morning I just felt compelled to! Thank you for posting your devotional & thank you for reminding me that everything is in his time! God has been speaking to me about this very thing as we wait on our TA. He also reminds me to be thankful in ALL things, even this wait! We ought to give ourselves up to God with regard both to things temporal and spiritual and seek our satisfaction only in the fulfilling of His will. Whether God led us by suffering or by consolation all would be equal to a soul truly resigned. May we seek only to love God “with all our heart” and let Him take care of the rest. I cried girl! I read this to my husband. Your commitment and testimony of the Savior and His plan is beautiful. I was needing to hear “stop focusing on events and take in the big picture”. And it is all for our GOOD. That is the beauty of it. How beautiful! I am glad you were reminded that God has called us for a journey, His journey through us. I know sometimes it is hard to find rest in that. I will pray that you will be reminded of that daily! What a wonderful and heartfelt post! I can’t wait to come along on your magnificent journey! I needed to read that today, at this very moment, as well. Thank you, Stefanie!! Have you ever considered writing a book or guest speaking at events? You are really WONDERFUL at this!! OH my Stef….you have NO idea how much I needed this post today from you as I’ve been holding on to the keyboard, computer, steering wheel…you name it….white-knuckled hoping not to miss what the Lord wants us to do next and trying desperately to understand all that’s taking place….knowing full well that He has always led us on this adventure before and will continue to do it because HE wants us to KNOW HIS WILL. So, thank you for your encouragement today that I can once again take a deep breath and watch Him work. 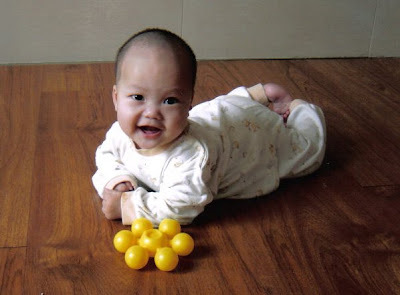 I am so glad to have found this blog – as another mom of SN babies, I applaud your efforts in China. Following God’s course for our lives is scary sometimes, but it’s SO worthwhile when the wait is over. I will be praying for Shephard as I constantly pray for our SN baby who’s on her way home as well…Brooke. May God pour his blessings on these beautiful children!!! Keep up your hard work!!! Wow. I posted an almost identical post to this about three days ago. I guess we all need the reminders every now and then to slow down and enjoy every moment. Our children wait for us, it’s true, but our Heavenly Father is completely in control of our adoptions, and is with our precious babies even when we can’t be. Sometimes I need the daily reminder to “give thanks in ALL circumstances” (I Th. 5:18) — even during this wait. He will use this wait to prepare us (and our waiting children) or teach us something. It’s hard to hear His “still, small voice” when our thoughts are screaming at us so loudly.